French sound artist Félix Blume keeps pushing the boundaries of field recordings for everyone's enjoyment. Fog Horns captures the sounds of boat horns in Piraeus, Athens, Greece, the port city that serves some of the most important ferry routes in Greece nowadays. Yes, boat horns are annoying, sometimes disturbing and even absurdly disrupting if you live in a port city or one that is blessed with the arrival of cruises -- everyone knows that. 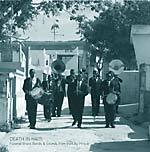 But recordings of funerals could be tricky, and Félix Blume pulled a gem out of 2018's Death In Haiti: Funeral Brass Bands & Sounds from Port Au Prince (CREP 051LP). And he has done it again. The A side reveals a long track recorded during a fog horn concert whilst side B features three "remixes" of the same recordings, paying respect to what Ingram Marshall did in Fog Tropes in three different "movements". In a way, B side sounds like the perfect soundtrack for the recent remake of Suspiria (2018). But Thom Yorke got in the way. Jokes aside, there's something magical about these horns. In the eighteen minutes of the first side, Félix Blume explores the concept of a concert played by those horns. The horns dominate but sounds of the surroundings create a perfect balance to the drone hysteria. The surrounding sounds are the heartbeat of this track. The horns are the metal section of an orchestra, while the rest works like the strings. Hidden melodies are revealed when you listen to this with your full attention, and the more you do it, the horns become less present, vivid. It's one of the many crafts of Félix Blume, the more you live with his music, the more you focus outside the plot. If those eighteen minutes sound tremendously real, the three tracks on the other side feel like a horror film. The warmth disappears to become cold ambiance, beautifully textured and enigmatic sounds take over. Horns are still heard, but they're a different kind of horns. 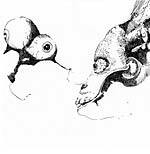 It seems that Félix Blume is playing with our perception, from bliss to horror. A honk will never be the same again. In 1959, Michel Giacometti moved to Portugal and dedicated the following thirty years of his life recording traditional music all over the country. In the present decade, Portuguese music has been thriving and finally travelling abroad, long gone are the days those hidden gems were kept in secret in this distant corner of Europe. The discovery of current Portuguese music sparked an interest to Portuguese music, past and present. With both of those ideas in mind, Giacometti and the interest in Portuguese music, Antologia De Música Atípica Portuguesa creates an anthology of current sounds to the future. You can see it as history being made or a broad catalog of sounds that live and breathe the experimental and electronic that is happening in Portugal. The first step happened in 2017 with the releasing of the first volume on this anthology, O Trabalho ("The Labour") (CREP 035LP), and Discrepant now move onto Vol. 2, Regiões ("Regions"), with each track connecting with a different province from Portugal. Some names return to this volume, like Live Low with the beautifully haunting "Montemor" or Gonzo (Discrepant's own Gonçalo F. Cardoso), affirming his path in building detailed and processed field recordings music. 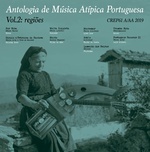 More than a list of names, or songs, this second volume of Antologia De Música Atípica Portuguesa recreates a passage throughout different landscapes of Portugal, constantly leaving a trail of past, present, and future. The trail doesn't limit itself to the music, but to the traditions contained in the sounds and the stories spelled by the words. The beautifully slowed haunting-waltz "Por Riba", by Síria (Diana Combo), sets everything in motion and builds the way to Random Gods' upbeat march "Gazulo à Estronca da Santosa". "Malta Inquieta" (Ondness) embraces the most modern/contemporary side of this volume, proving that Regiões goes beyond the idea of catalog or even its own concept of "anthology" and provides music that's hard to categorize or even judge by modern standards. "Malta Inquieta" is an experimental jazz-electronic modern gem. It's followed by the guitar of Rui Carvalho, aka Filho da Mãe, with "Manta". "Montemor", opener on side B, sets the tone for a different trip, building up on more abstract and freeform music by Banha da Cobra ("Asylo"), Fantama ("Lamento das Beiras"), and the track by Gonzo. 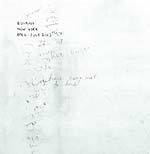 Regiões finishes with the right tone, fields recordings worked by Luís Antero, that tie the connection between Giacometti and the now. Earlier this decade, when Óscar Silva chose his alias Jibóia, he was already thinking of the variations his music would take on in each record. Jibóia is Portuguese for boa constrictor and by his fourth record his instincts and ability to change over his sound and search for different collaborators to reach his intentions was manifest. After collaborating with the likes of Makoto Yagyu, Sequin, Xinobi, Ricardo Martins, and Jonathan Saldanha on his previous records, in OOOO he goes deep into interconnecting his music with other musicians/past collaborators. Joined by Martins and André Pinto, Óscar created a record that sounded like Jibóia with the direct collaboration of the musicians that accepted the invitation. And what does it means to sound like Jibóia? A fluent and rich dialogue between outer-world sounds mixed with a free jazz approach to rock. It's music that's doing soul-searching without any space or time barriers. It flows as it should; OOOO is no different. Inspired by the philosophy of Pythagoras and his concept Musica Universalis, it speaks about an interspatial harmony created by the movement of the planets and the sound frequency it creates. It's a poetic theory that imagines the sound produced by the movement of the planets and what we can listen to when we listen to the universe. The first three tracks are a reference to those frequencies and the last one, "Topos", references an idea of accomplishment, of arrival and the sum of the experience. OOOO is a bit of a trip, a voyage of imagined sounds produced by three musicians in a constant dialogue, and with a different focus in each track. Each of the first three tracks are developed with a focus on the instruments of each musician, while the other two expand and enrich the range of the initial movement. On the final one, they explore the flux of ideas each brings to OOOO. However, it's not intended to be a conclusion or an end to OOOO; it's an open circuit of ideas that reinforces the free-minded rock that the three musicians explore, creating a new place where their music finds new routines. It just makes one want to go back to the beginning, again and again, reinforcing the feeling that Jibóia belongs to this world without sounding like anything from this world. RIYL: Sun Ra, Uncle Acid & The Deadbeats, Ohm. Originally released by Wounded Wolf Press as a limited cassette in 2016, Loopworks compiles Turkish visual and sound artist Koray Kantarcıoğlu's (b. Ankara 1982) loop-based work composed of samples taken from Turkish records released in '60s and '70s as source material. Loopworks impacts almost instantly mainly because it shows some familiarity with the recent work of Leyland Kirby as The Caretaker, particularly with the "haunted ballroom" effect. Koray explores the usage and the dynamic of these sounds as ambient music for different scenarios as well as the importance of a newfound life with the raw material he used to create these songs. The source material appears as enigmatic as these new sounds and activates a sense of discovery and constant wonder throughout Loopworks. With the vinyl release of Loopworks Discrepant continues to manifest the importance of showing how technology and geography create different and original approaches to the standard western interpretation of field recordings and sound manipulation. Kantarcıoğlu's work here is a strong manifestation of that and how "haunted music" can express a myriad of feelings and sensations. Loopworks has a tremendous vision of the metamorphosis that's been occurring in ambient music during the last decade. Sometimes it's dreamy and calm as aquarium music is ("500606" or "22 47 91 Take 1"); surprising and infinite as "263 Loop", one of the few tracks with a voice, in this case a mysterious and transcendental one; or part of a John Carpenter or David Lynch film yet to be made ("Organ Extract KP 001"). A fantastic voyage, from earth to space, through time or simply as the most beautiful and peaceful dive into the ocean, this is old music transformed into something new and unique; that's special. It's 2018 and it's time for some new discoveries into Mike Cooper's limitless exploration in his collection of guitars. 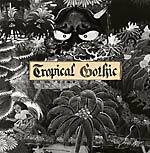 The title itself, Tropical Gothic references Cooper's beloved areas of "the South" with a Gothic, dark, remote interplay... he explains: ''Tropical Gothic includes, but is by no means limited to, a reflection on a region where European colonial powers fought intensively against indigenous populations and against each other for control of land and resources.'' On each side, Mike Cooper studies different approaches to his method of uniting guitar and field recordings into a constant stream of sound, where he delivers chaos and melody -- not necessarily in that order. Side A is composed of shorter pieces. Each of them offers a myriad of images and sensations, between the enigmatic and terror ("The Pit"), joy, happiness and freedom ("Running Naked") or pure contemplation ("Onibaba"). "Onibaba" runs as a fitting introduction to Side B and its 18th minute magical piece "Legong/Gods Of Bali". A mix of ambient exotica music, silent film soundtrack and distorted rhythms that dance around Mike's guitar. It keeps reinventing and transforming itself throughout those eighteen minutes, summing up the dexterity and muscle of Mike Cooper's music of the last two decades. With another grand collage artwork by Evan Crankshaw. Earlier this century, Spencer Clark, aka Monopoly Child Star Searchers, created a sound phantasy with Skaters and after that he pursued a new alchemy under various aliases (Charles Berlitz, Fourth World Magazine, Monopoly Child, Typhonian Highlife, etc.) and projects (like Egyptian Sports Network, Tarzana, or The Temple Defectors). The different aliases aren't a mode of dispersion or to create confusion, they're setups for the different possibilities he imagines for music. Make Mine, Macaw -- previously released in 2010 as a limited CDR on Pacific City label -- references a large long-tailed parrot and is part of a trilogy about birds, Spencer's Tropical Bird Romance Audio, which also includes, Bamboo For Two (2010) and The Garnet Toucan (2012). A deep dive into this record makes it clear why it should be re-released. In the field of experimental-tropical-cocktail music, no one does it like Spencer Clark, especially through his output Monopoly Child Star Searchers. Make Mine, Macaw explores the best cocktail recipes through five colorful pieces, using Clark's premium technique of blurry repetition and dreamy percussions. A tropical fantasy that starts in your ears, feeds your brain, and changes your life. You won't know what a pacific city sound vision is until you see one. Make Mine, Macaw makes you see one clearly. Pali Meursault is a sound artist, composer, and sound designer. His electroacoustic and sound art research takes different shapes: compositions for records, radio works, installations, or performances. Environmental sound recording is central in his work, which takes from musique concrète and the sonic exploration of soundscapes. For Stridulations, Mersault confronts recorded and performed sounds, composition and improvisation: field-recordings of animal communication (insects, birds, and bats recorded in France, Japan, and South America) mix and dialog with the "sonification" of fluorescent tubes. Both the environmental sound matter composition and the electromagnetic instrument have evolved with performances between 2014 and 2017. Little by little, new recordings were collected and new electrical and electronic supplies were added to the setup. The record is altogether the outcome of that process and a different take on the project, leaving the synesthetics of the flickering lights but embracing the deepness of "blind" listening. For Pali Mersault, the long research for Stridulations has been a practice for deconstructing binary oppositions between nature and machine, bio- and anthropo-phony, and to explore the strange sonic affinities that exist between some animal voices and technological phenomena. 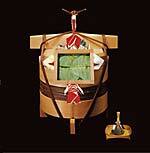 Japanese artist Sugai Ken presents a kaleidoscopic radio play inspired by the traditional Japanese art of Mingei. In Sugai Ken's own words: "In recent years I have been researching old Japanese culture and customs in order to deepen my musical production. I am still excited to find that there are many untouched roots yet to be discovered which only motivates me to pursuit my research further. As I dig deeper, I'm always struck with the general idea that 'everything has its own ground', otherwise known as rigid ideas and concepts. Indeed, it is important to have a clear ground to explore things from. Especially as our times are overloaded with too much information, things which are spoon fed to us will always be short lived, so for me it becomes a case of those rigid ideas becoming less flexible. One of the many benefits of computer music is being able to separate it from history/traditions and allowing you to simply enjoy mixing sounds and concepts, regardless of its original meaning. By being free from 'having to' make sense we can make creation much more enjoyable. When I made this album I put my priority in freedom, rather than being stuck with those rigid ideas and concepts. This way I could really enjoy and get deep into the 'mixology' of it all. Like my other works, Japanese is always a fundamental motif and I envision it like an imaginary radio drama by adding spontaneous dialogs throughout. I will be happy if listeners pay attention to these (and other) details and enjoy listening to my work." Artwork by Evan Crankshaw. Mastered and cut by Rashad Becker. Edition of 500. Starting with an artist residency Tasos Stamou visited the Greek island over the course of three summers, collecting field recordings, performing with local musicians, producing electronic compositions and gathering old records and tapes of traditional music of the region. The project resulted in the assembling of a unique sound collage which reflects his personal experience as a music visitor to this part of the Mediterranean. Tasos Stamou is an electroacoustic music composer, performer, alternative music technologist, and tutor. During a decade of sound performances and recordings Tasos Stamou developed a unique style of live electroacoustic composition. Long and continuous pieces are created live using a "portable electroacoustic music studio". His gear consists of acoustic (prepared strings, reeds, objects) and electronic instruments (handmade electronics, modular synthesizer systems soft synths). 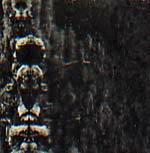 Based on sustained tonal textures and free improvised instrumental solos, his live compositions create a particular and unique atmosphere of ritual noise. Artwork by Tasos Stamou. Mastered by Rashad Becker. Edition of 300. 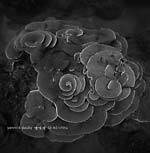 Another unique document of Kink Gong's, aka Laurent Jeanneau, collection of surreal soundscapes of augmented field recordings, this time turning into his love/hate relationship with China into a mesmerizing soundscape of unclassifiable music. Jeanneau on Dian L: "Before becoming Kink Gong I had different names, one of my projects, designed by cultural circumstances in China at the beginning of the 21st century, was Dian Long ('electric dragon' in Chinese). 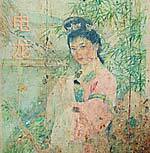 I landed in Shanghai in 2000 in order to make music and recordings of whatever. Faced with the cruel tendency of modern China to reject tradition and embrace full on bling-bling culture, my option was to attack this music industry commercial flavor by destroying it. I had in my bag a faithful portable CD player who knew how to turn syrup into crystal. Later, reaching Yunnan in 2001, I discovered the reality away from the bling-bling of eastern towns and did a realistic soundscape of it." 15 dead, 15 funerals, 16 funeral processions, one procession with no dead, five churches, one cemetery, onewake. 15 hours of recorded sounds are condensed into a vivid sound portrait depicting the way funerals and burials are lived in Haiti. Recorded in Port au Prince by sound artist Félix Blume in early December 2016, this plunges the listener into a world of pain, loss, and solemn celebration as each funeral comprises its own live jazz band as well as a plethora of characters like the joker ("le blaguer") who cracks jokes and tales about the recently deceased. A beautiful document of a thriving tradition, a counterpart or updated version of those famous dirge jazz records such as the New Orleans Eureka Brass Band on Folkways. Félix Blume is a sound artist and sound engineer. His personal work is based on field-recordings and uses sound as a raw source, in sound pieces, radio plays, videos, actions, and installations. Features Maestro Walter's Brass Band, Maestro Midouin, Maestro Turenne's Brass Band, and Maestro Ronald's Brass Band. Originally released on CD in 2003. The hour-long performance on this disc was captured live on October 5th, 2002 when Wobbly, People Like Us, and Matmos circled their wagons in the lecture hall of the San Francisco Art Institute. Having mutually agreed upon a country and western theme, Vicki Bennett (People Like Us), Jon Leidecker (Wobbly), and Drew Daniel and M. C. Schmidt (Matmos) pored over their archives of honky tonk classics, chopping and dicing Nashville's finest almost beyond recognition, and collectively restitching the mangled shreds in a kind of crazed digital quilting bee. Flickering and tranquil one moment, and wildly slap-stick the next, Wide Open Spaces hits the sweet spot between song forms and improvisation, and showcases the qualities that all three collaborating artists share: absurdist humor, baroque sample manipulation, and stuttering rhythmic frameworks that lurch and sway. While the presence of five samplers, four laptops, three CD players, and a pedal steel guitar on one stage could have led to a tediously ego-driven "jam" or simply cacophony, the results feel lushly detailed but not cluttered, and swing naturally between structure and freedom. Listening back to the recorded results, all three musical units agreed that this concert was mighty fine, and worth sharing. Originally released on Tigerbeat6 in 2003, the music has been re-mastered for this vinyl issue. Artwork by M.C. Schmidt; Design and layout by Vicki Bennett. South Californian dons of occult electronics, German Army return to Discrepant with their first solo vinyl LP outing for the label after an inaugural tape back in 2015 and a split collaboration with Old Komm in 2016 (CREP 033LP). Taking the events described in the 1982 book More Bitter Fruit, the CIA coup in Guatemala in 1954, the duo eloquently translates this textbook case of bullying relationship between the United States and the Third World. Using some US government documents and interviews with former CIA agents, they go deep in the Guatemala jungle through their trademark use of guitars and electronics drenched in echo and reverb of times past. Another mysterious entry from the shady San Bernadino duo, showing their interest and research in poorly documented history of the 21st century. Edition of 300. 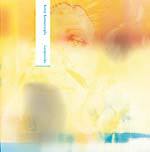 Third volume in Discrepant's irregular split series. 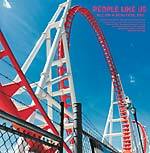 This time, they pair two artists at the top of their "collagist" game: People Like Us and Porest. "The Parallel Broadcasts" presents Porest's recordings from the covert sector of his archives. Culled from shortwave and FM broadcasts, these selections were intercepted via prepared radio -- finely tuned to receive what is known in certain circles as parallel broadcasting. Content explores the trauma of emerging global consciousness, acute cultural antipology and the urgent placement of democratic music today. Recorded on location in January and February, 2016. Featuring contributions from Paul Staufenbiel and Michael DarrAll, "All On A Beautiful Day" was recorded in Spring 2016 by People Like Us for "Optimized! ", a week-long online a/v radio station programmed by Vicki Bennett, housed on WFMU's website which experimented with ideas of what radio might be in the world of high-speed internet broadcasting. The content included 26 new a/v artist works, including both this and Porest's "Parallel Broadcasts", where people were invited to respond to the word "optimized". RIYL: Negativland, Girl Talk. Discrepant present a magical live recording from the legend that is Pierre Bastien, showcasing his mecanoid orchestra at its intricate best during a performance at Studio M, the historical studio-concert hall of Radio-Television of Vojvodina, Serbia. 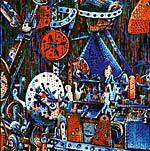 Around 1986, French composer and multi-instrumentalist Pierre Bastien started creating and building his own orchestra called Mecanium: an ensemble of musical automatons constructed from meccano parts and activated by electro-motors, that "play" on acoustic instruments from all over the world. On The Mecanoncentric Worlds of Pierre Bastien, the Mecanium plays amplified Meccano parts, drums, reeds, rubber bands, paper, nails, and flutes whilst Pierre plays kundi, rubber band, prepared trumpet, video loops, nail violin, and râbab. Recorded live at Studio M on October 8, 2016. All compositions and live mix by Pierre Bastien. Artwork by Stéphane Blanquet. 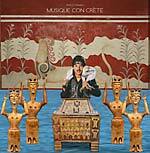 Originally released on CD by Beirut based Al Maslakh Recordings in 2015. Mark Corroto about Ariha Brass Quartet in All About Jazz upon its initial release: "The practitioners here, three trumpeters Axel Dörner, Franz Hautzinger, Mazen Kerbaj, and Carl Ludwig Hübsch on tuba, practice a unique approach to their instruments. All four musicians set aside a traditional approach to playing, substituting breath for notes, abandoning a mouthpiece, and applying amplification to microscopic sounds. The quartet recorded this session in Beirut 2013. The set opens with 'Mar Mikhael In The Afternoon' , the longest improvisation at 16-plus minutes. 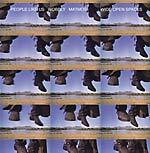 The fluttering of notes is accompanied by the snorting of unseen wild beasts and the coyote howls of brass. Their language, developed in the past 20 years or so, is a direct descendant from the European systems and improvisers such as Derek Bailey, Eddie Prevost's AMM, and Paul Rutherford. Stripped of the conventions of noted music, the growls and micro-notes would not be out of place in sci-fi cinema as the backdrop to the silence of an orbiting space station. The squiggles and on/off switches of sounds inhabit the ghosts in the machines of the imagination, but also the rumble and hum of the earth's inner core. 'Hamra Drinks' buzzes with the low bass reverberation and the looping notes of trumpet take on an organic biologic shape. 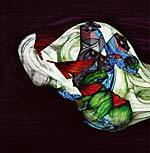 Each piece conjures a response be it a visual, an emotional, a fragrance, a flavor, or something tactile. Ahira Brass Quartet opens the listening experience to all five senses." Originally released as a limited tape in 2015. This vinyl reissue of O Morto's (aka Mestre André) immersive electronic tryptic piece dedicated to the Ba'Aka people and its spirits is remastered here on green vinyl . Albeit, his music is now closer to a soundscape composition approach, O Morto actually started as a free improv/noise project in 2012. However, after releasing his debut Memento Mori (2012), O Morto slowly began to drift away from the harshest soundscapes to seek a new direction. He found it under the form of the polyphonic music played by Ba'Aka (a pygmy tribe that still lives in the Republic of Congo), and in a conceptualized image of Jengi, a forest spirit that feeds from the flesh of a sacrifice. Having this exotic array of influences in mind, O Morto collected samples, field recordings, and electronic sounds that would eventually appear in this triptych piece. The record explores the possibilities of sound manipulation as a way to create vivid and cinematic soundscapes. A noise maker by nature, André also plays in the excellent Älforjs and produces some of the most addictive beats as Notwan. Collection of two thoughtful EPs by Cairo based artist Bosaina. Bosaina is a Syrian/Egyptian singer, songwriter, and producer known for her work in the Kairo Is Koming collective, as well as her involvement in music-space-turned-club-night VENT. Her autobiographical work takes on a magical insular quality through field recordings and sentimentally driven compositions that unfold in stolen time. On both EPs, presented here, her love affair with cinema, interrupted by decaying urban life -- New York April-July 2013 -- and literature -- Two Names Upon The Shore -- serve as the focal points for her intimate productions; fragmented and wistful soundscapes that combine her affection for the piano with ambient textures from sea-shore to life underground. A unique album to get lost into on long summer nights. Founded by Lebanese visual artist and musician Raed Yassin and Swiss musician Paed Conca in 2006, Praed is a band whose music can be described as a mixture of Arabic popular music, free jazz, and electronics. Over the years, the duo has collaborated with renowned musicians from across the globe. Praed explore the terrain of shaabi (Arabic popular music) and its interconnectedness with other hypnotic music genres. Through their research and thanks to numerous concerts in various Egyptian cities, Conca and Yassin discovered a strong cultural connection between shaabi sounds and the mouled music played in religious trance ceremonies. The hypnotizing psychedelic effect embedded in this genre incited Praed to explore other popular music from around the world that also employs forms of sonic delirium -- free jazz, space jazz, and psychedelic rock, among others -- and incorporate these in their own musical concoctions. This is the duo's fourth album. File under: dabke, shaabi, Arabic, free jazz. RIYL: Rizan Said, Omar Souleyman. Mysterious French outfit The Dead Mauriacs return to Discrepant in full exotic wind force after their sell-out cassette, Cocktails Pour La Fin Des Temps (2016). 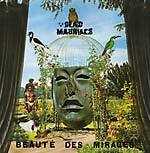 Beauté Des Mirages picks up on the same themes of frantic, abstract exotica and concrete cocktails the French act is known for. Running for two, long 18-minute sides full of fake(?) vintage atmospheres and armchair jungle hallucinations, Beauté Des Mirages is an abstract journey into a beautiful (and sometimes scary) world of mirages. All perfectly illustrated by yet another mesmerizing artwork collage by US artist Evan Crankshaw. Inspired by the common task and the people of Pamir in Tajikistan, filmmaker and sound artist Carlos Casas deconstructs far-away sights and sounds to create a unique field recording experiment that equally worships past, present, and future traditions. Nikolai Fedorov thought the Pamir to be the cradle of humanity, the hidden and forgotten nest, a pyramid of skulls that held the secrets of past human kinship. 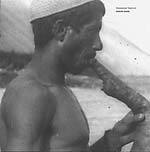 He believed that most of Asian myths of human origin pointed the Pamir region as their inception. For the Chinese, Indian, and Semitic myths, the mountainous region of Central Asia, often referred to as "the roof of the world", was the key to understand his resurrection plan. Visions Congo is yet another moniker from Discrepant's head honcho, Gonçalo F Cardoso, taking Africa as a starting point to evoke the memories and re-imagined experiences of his six-month stay there in 2015. 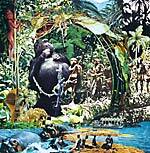 Most of the recordings and compositions were done in the great lakes of the African regions of Uganda, Congo (DRC), Tanzania, and the island of Zanzibar. Mulago Sound Studio is a series of surreal and augmented field recordings that try to brace the listener with fresh alien authenticity before toying, very pointedly, with antiquated constructs by mixing avant-garde dustbin synth music with concrete field recordings and humorous, tongue-in-cheek intersections -- never to be taken too seriously. Equipped with a brand new art collage by US artist Evan Crankshaw. 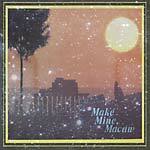 Mastered and cut at Dubplates & Mastering by Rashad Becker. 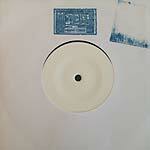 Exclusive limited white label, hand-stamped promo single from Gonzo. Exploring the depths of East African religious beliefs from ancient animistic traditions to the more recent christian evangelic trends. On the B side, a more tongue-in-cheek take on East African dictator's advice and other field recording madness. Recorded by Gonzo in Kampala, 2016. People Like Us is audiovisual collage artist Vicki Bennett, who has been making work available via CD, DVD and vinyl releases, radio broadcasts, performances, gallery exhibits, and online streaming for 25 years. Since 1992, she has developed an immediately recognizable aesthetic repurposing pre-existing footage to craft audio and video collages with an equally dark and witty take on popular culture. She sees sampling and appropriation as folk art sourced from the palette of contemporary media and technology, with the sharing and cross-referencing incumbent to a populist form. Abridged Too Far is the first of a series of vinyl by Discrepant to celebrate 25 years of People Like Us publishing albums. 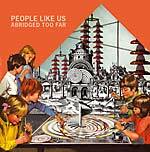 Abridged Too Far was first released in digitally in 2004 exclusively for UbuWeb, this album includes Vicki's session for John Peel and performances for WFMU, amongst others, from 2003. Packaged with brand new artwork designed by Vicki Bennett. 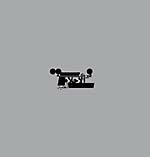 RIYL: Porest, Ergo Phizmiz, WFMU. Yannick Dauby returns to Discrepant for Vol 2 of his ongoing study of the sounds and sights on the Penghu Archipelago, Taiwan. Penghu Experimental Sound Studio Vol. 2 uses interviews, field recordings, found objects, and subtle electronic manipulation to transpose Yannick's impressions of the island's natural beauty. All sounds, field recordings, and improvisations on electronic instruments, are from Penghu, Taiwan. Interviews of children extracted from the film Childhood Of An Archipelago, by Yannick Dauby and Wan-Shuen Tsai. "ló-kó́͘ -chhù" means "Coral House" in Taiwanese. RIYL: Andrew Pekler, Mike Cooper.